A young woman is attacked after witnessing a murder. 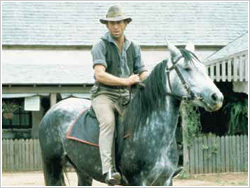 She flees to Australia and, unknown to her, is followed by the murderer. One of the most controversial Australian mini-series ever produced, Scales of Justice is a shattering examination of official corruption in all levels of law enforcement. Containing three self-contained, character-linked dramas focusing on the world of Australian law enforcement, vice, drugs, politics and wide spread corruption, from street level to the corridors of power, the programme achieved a near-documentary level of realism. 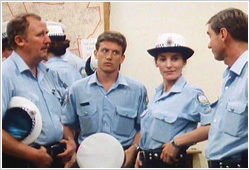 A milestone in Australian TV drama when first screened in 1983, Scales of Justice tells it like it was, and still is.